Analytical Armadillo: Oil Pulling For Children?? You Raging Hippy You! So when I first mentioned oil pulling on Facebook, the replies were interesting. My previously cavity free just turned 8 year old has developed three in the last six months, and as someone always plagued by needing loads of dental work (despite all the oral hygiene measures as advised by the dentist) I was interested in exploring natural approaches that may prevent further decay in my daughter. Some were horrified, including one mum who replied; "I would never ask a child to do that!" Some were interested and wanted to know more, and of course given how cool Armadillo readers generally are, some were already doing it. disease, liver & respiratory conditions; Google and you will find someone claiming oil pulling cured them. 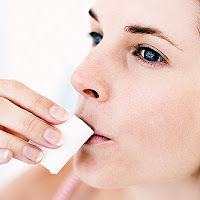 I don't honestly see how toxins could be pulled through the mucous membrane as some websites suggest, which I will discuss more in a moment; but as it is also reputed as excellent for oral health, getting rid of toothache and reducing gum disease, I decided to read more. What's interesting about oil pulling is that there's no big pharma heading up this campaign, posting fake reviews etc; clearly people who advocate pulling believe it helped them. There are those however who take the claims of oil pulling to another level, particularly Dr Karach MD - feel free to do your own digging! Ok as I said above, I'm not convinced toxins can be pulled through the mucosal surfaces of the mouth; however things can certainly pass into the bloodstream sublingually - think of the tiny pills or spray that people put under their tongue during an angina attack. In fact this route is faster and the substance is only exposed to saliva before entering the bloodstream; anything swallowed has to pass through the digestive tract where enzymes get to work. 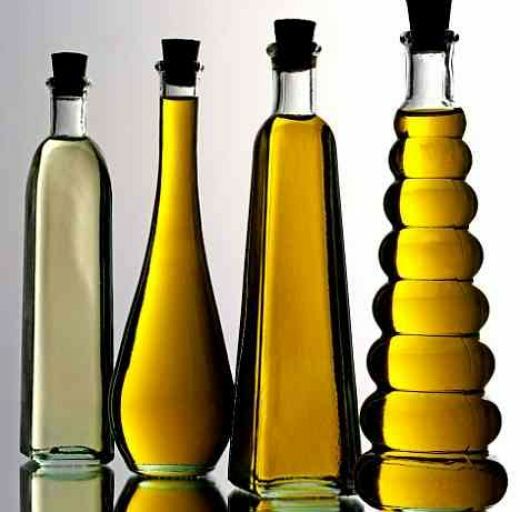 "Sesame seed oil has a high concentration of polyunsaturated fatty acids and is a good source of vitamins. The antioxidants present in it are namely sesamin, sesamolin and sesaminol. These lignans have certain actions on the living tissues like- Detoxification of toxins, antioxidant effect, potentiates the action of vitamin E, prevents lipid peroxidation and antibiotic effect in that it helps in the destruction of microorganisms. Sesamin has found to inhibit the absorption of cholesterol as well as its production in the liver, reduces lipogenesis and exhibits an antihypertensive action." You can find it here and is well worth a read if this subject interests you. This suggests amongst other things that the oil hit alone is responsible for some results. "The mechanism by which the oil pulling therapy causes plaque reduction is not known. The viscosity of the oil probably inhibits bacterial adhesion and plaque co-aggregation. Other possible mechanism might be saponification or the „soap-formation‟ process that occurs as a result of alkali hydrolysis of fat. Sesame oil is a vegetable fat and when it is acted upon by the salivary alkali like bicarbonates, the soap forming process is initiated. Soaps are good cleansing agents because they are effective emulsifying agents. 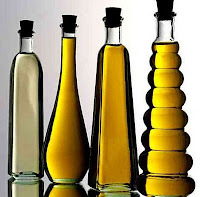 Emulsification is the process by which insoluble fat like sesame oil is broken down into minute droplets and dispersed in water. Emulsification greatly enhances the surface area of the oil there by increasing its cleansing action." "AIMS: The aim of this study was to evaluate the effect of oil pulling with sesame oil on the count of Streptococcus mutans in plaque and saliva of children, using the Dentocult SM Strip mutans test, and to compare its efficacy with that of chlorhexidine mouthwash. "Inspite of all the advances in the field of health science, traditional healing methods still have a major role to play. These methods are born out of native wisdom of very high intellectualism. They are untouched and unspoiled. If they are analysed on scientific backgrounds they stand the test of time. Hence oil pulling is one such method which improves the oral health and benefits various systems as well." So do you oil pull? Has it helped? Are you planning on trying? If so please keep us updated! Wow, that's very interesting and I've never heard about that. I have very soft teeth, and despite excellent oral hygiene I've a mouth full of fillings, and my teeth are starting to just break down. Lost half a filling, then broke the tooth around the fixed filling, and I've got holes and pits developing around other fillings too. My roots are healthy so the dentists aren't worried, I just need a lot of work done. This will definately be something to look into. This is definitely worth a try. If it works like it says that be awesome! If not then apparently no big loss. Thanks for researching this. I believe I'll try it. I'm so trying this. Ever since my 2nd pregnancy, I've had problems with my teeth, so I want to strengthen them. I keep losing fillings, but I've just moved back to the US and don't have dental insurance. I'll have to find something before long, but I think I'll try this to help a bit, too. I've been interested in this since you mentioned it on Facebook and after some digging my husband and I are definitely trying it! I suffer with migraines and also have sensitive teeth so am willing to try anything if it will help, especially as there's nothing to lose! I've been doing it for about 2 weeks but not every day (i've forgotten a few times), my teeth feel healthier on the whole and my gums look like they're less receeded than previously.. these of course are all subjective observations, i'd like to continue for a few weeks more to see the results. i'd also like to start on a daily regimen of fermented cod liver oil and butter oil which i've read will help renew my teeth, doesn't seem like it could hurt so it's worth a try. we'll see how it works once i actually get started! My 8 yr old has tried it twice with a tsp of oil - she did 5 mins the first and 8 mins the second, she was fine actually no problems at all! Love my dh for the fact that when I read out the first couple of paragraphs his response was 'yeah that makes sense to me'.